Heavy Iron is the tie that binds us. Whether for show, or for go, we all travel a path of seemingly endless sweat and limitless reps. 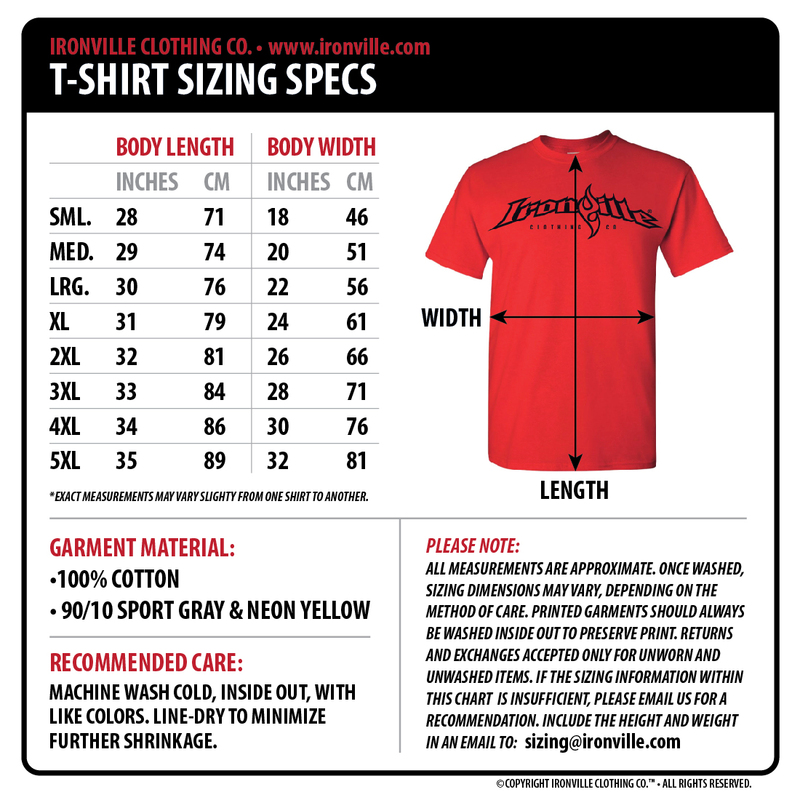 This skull and barbell weightlifting t-shirt design isn’t for a designated power sports ‘club’, but maybe it very well should be. 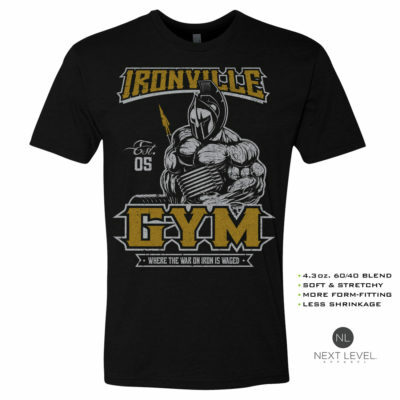 Our weightlifting t-shirts come in many sizes ranging from small all the way up to 5XL. It’s not always the size of the lifter that matters, rather the size of the lift. All orders shipped in the United States go out free of charge and our rates outside of the US are as low as they’ve ever been.